Piriformis syndrome is a neuromuscular disorder that is caused when the piriformis muscle compresses the sciatic nerve. The sciatic nerve is often associated with shooting pain or a nerve sensation in the buttocks and down one or both of the legs. The piriformis muscle is a muscle that is essential in lower body movement as it stabilizes the hip joint, lifts and rotates the thigh away from the body - all of which enable us to walk, run, shift our weight, maintain balance, and participate in any activity in which the legs are used. 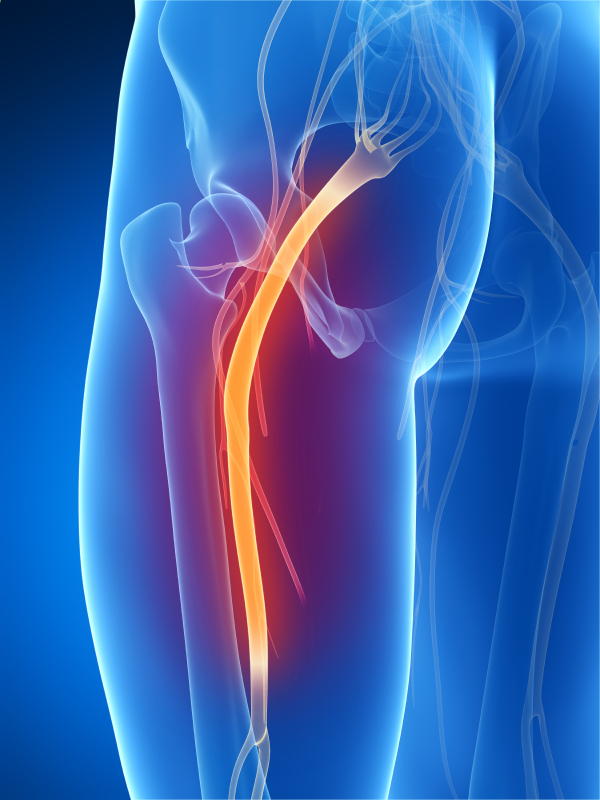 For those wish piriformis syndrome, pain can be severe and extend down the sciatic nerve causing immobility. At Ortho Sport & Spine Physicians, we are an interventional specialized practice that is dedicated to helping patients find long term relief from chronic pain. Most people find out that they have piriformis syndrome when they (finally) go to the doctor about an annoying, and sometimes slightly embarrassing, problem with sitting for an extended amount of time. Given that millions of people in America have "desk jobs," there are many people suffering from piriformis syndrome. Long-distance runners are also commonly affected by this condition as the repeated movements in this vigorous activity often causes trauma to the hip area. At Ortho Sport & Spine Physicians, our entire team of physicians is dedicated to finding relief from the symptoms that you are facing. We work differently than most medical practices because we limit the number of patients that we will see each day in order to give each patient him or her the time necessary to accurately diagnose a condition and design a specific treatment plan. Ortho Sport & Spine Physicians is here to help you find relief from the pain and other symptoms of piriformis syndrome. We are dedicated to using the most minimally invasive techniques in order to help our patients. If you are suffering from this chronic and painful condition, contact us today. We look forward to helping you stay active and live your best life.